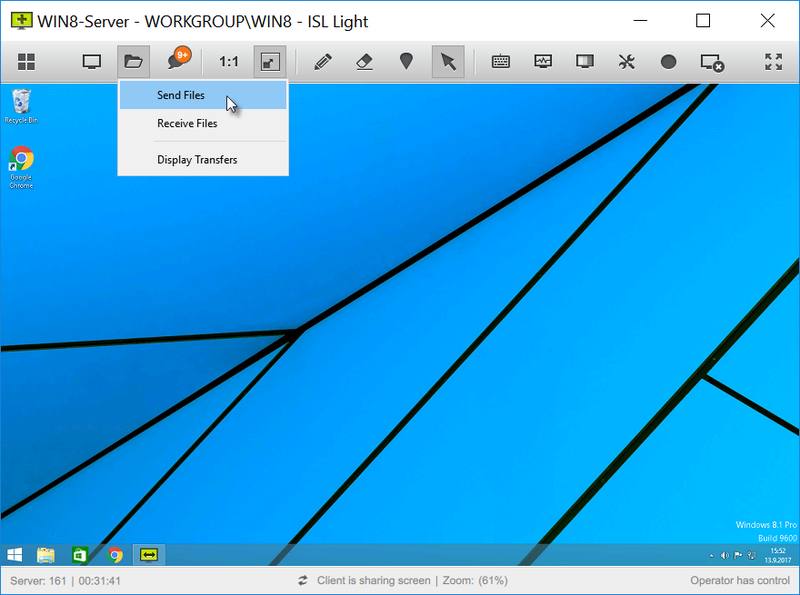 Click "Send Files" item from File Sharing dropdown menu . Choose file you want to send to remote side and click "Open". File transfer window opens up and it shows the status of file transfer. 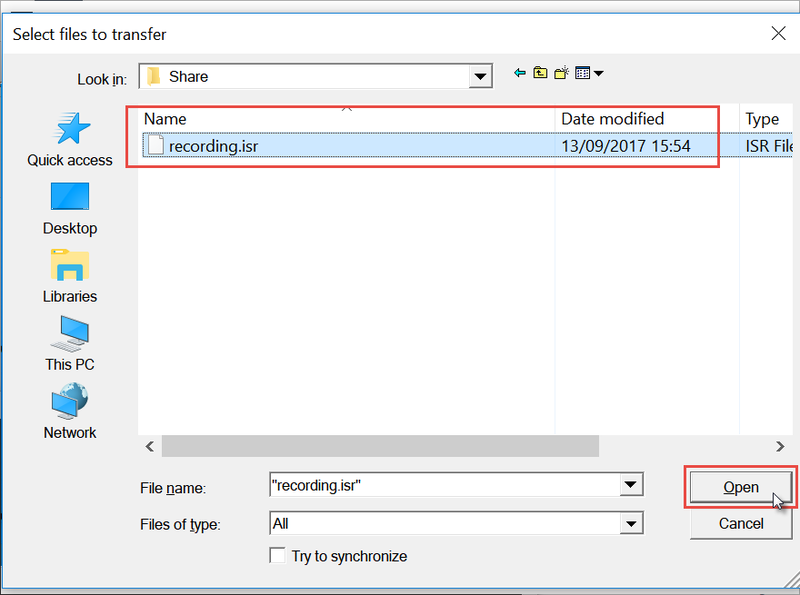 Click "Display Transfers" from File Sharing dropdown menu. Change the Download location folder. Files sent to you will be saved at that location by default. Send files to remote computer. When you click the Send button, the explorer window will open up allowing you to select the files you wish to send. 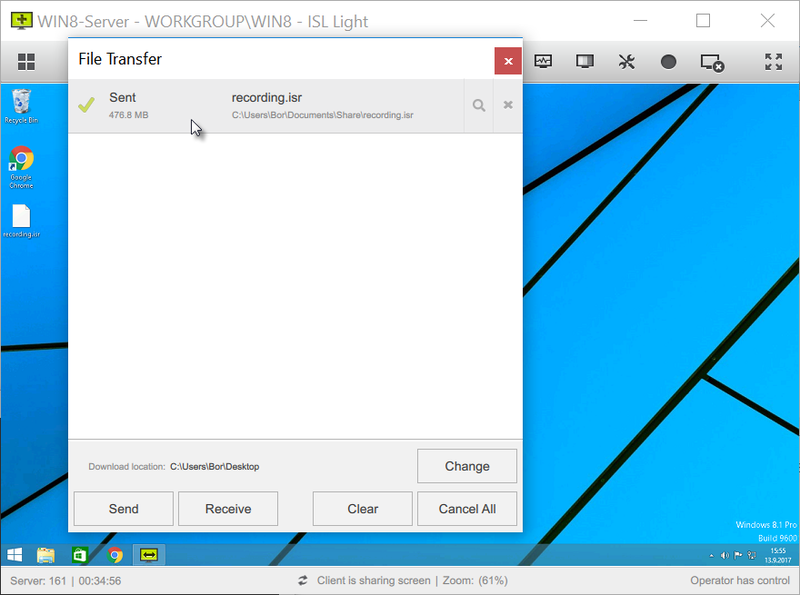 Alternatively you can drag and drop the file you wish to send into the File Transfer window. Receive files from remote computer, when you click the Receive button, the explorer window will open up on the remote computer prompting the user on the other side to send you files from his or hers computer. You can alternatively select the files from remote computer by yourself if the remote user granted you control of the computer. Clear the file transfer window, information about files that were sent or received and their status will be removed. Files that you receive will remain in the Download location folder and you will have to delete them from there if you wish to remove them. Cancel all transfers in progress (incoming and outgoing). The status of a file that was being transferred will be changed to cancelled and the user will have to resend it.